This is a sponsored post written by me on behalf of Groupon Getaways for IZEA. All opinions are 100% mine. We live a little over an hour away from New York City and I absolutely love going in. I especially like to be able to bring my girls in. I want them to have the city as part of their experiences because the city is an experience by itself. The city is always bustling with events, but my favorite time of year to go is during the winter because it is always gorgeously decorated and just reminds me of Christmas. Unfortunately, visiting New York City in the winter can often be a test against Mother Nature’s elements and with two young children, she often wins. 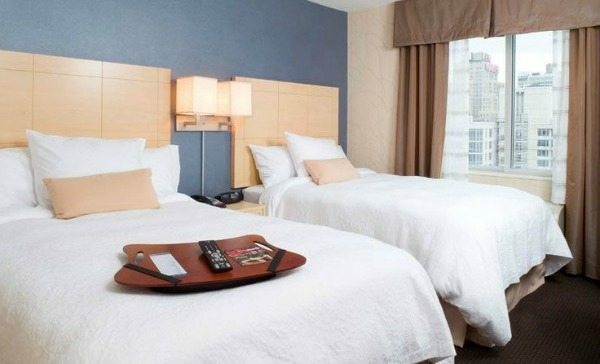 Luckily, Groupon Getaways made it easy to not have to worry about the elements as much since they always have such amazing deals on hotels in New York City, which is how #MyGrouponGetaway started out. One of the reasons it is difficult to enjoy New York City with kids is that there is so much that you want to see and do that coming in for the day is just not enough because you end up only coming in for one event and then turning right around to head back home. The girls end up feeling like they’ve spent more time in the car then enjoying all the city has to offer. 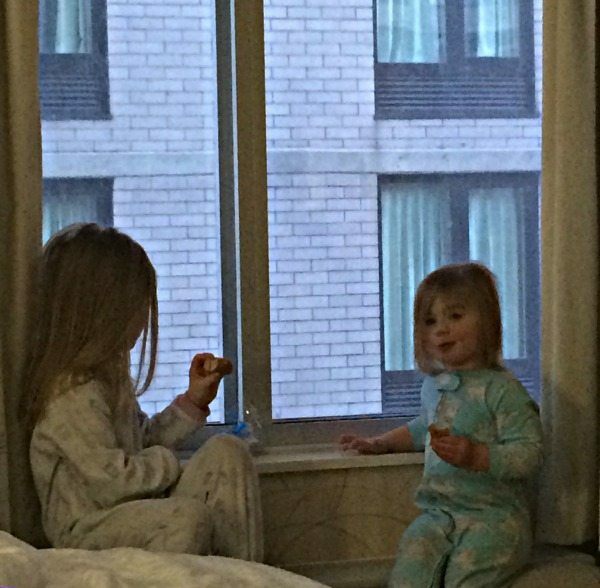 Luckily, Groupon made it easy to find a fabulous hotel right in Times Square that the girls could wake up and look out the window in awe at how high up they are as they munch on some pre-breakfast donuts. I stated pre-breakfast donuts because we were able to find a hotel that had a continental breakfast that was included in the price. 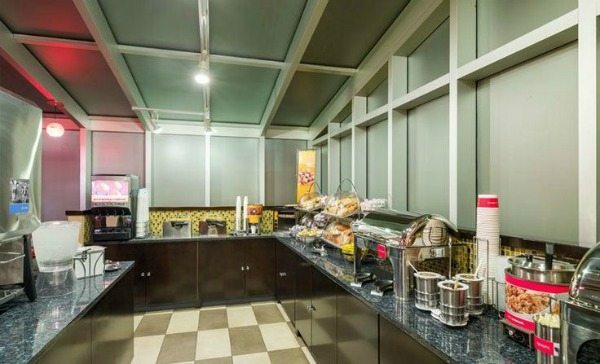 Now, when I usually think of a continental breakfast offered at a hotel, I think muffins, bagels and cold cereal. Not at the Hampton Inn South. There was a waffle making station, scrambled eggs, bacon and sausage as well as the traditional muffins, bagels and cold cereal. Plus, there was coffee 24/7 which I made sure to take advantage of multiple times. Another way that the Hampton Inn made it easier to enjoy New York City with our Kids is that the room had two double size beds and was large enough to fit Avery’s pack n play, which in New York City is often difficult to find. Usually, you barely have enough room for a queen bed and place to put your luggage. The room was large enough that we were able to put Avery to bed before the rest of us and we all got to enjoy our devices. The weekend we went to New York City was the coldest weekend of the year. Temperatures were below freezing with the wind chill. We decided that it was absolutely necessary to take cabs everywhere. Luckily, Joe and I drive like New Yorkers so we were completely comfortable jumping in and out of cabs with the girls. Riley even got down the hang of hailing for a cab, which was adorable to watch with her little gloved hands and pom pom hat bopping towards the cab. 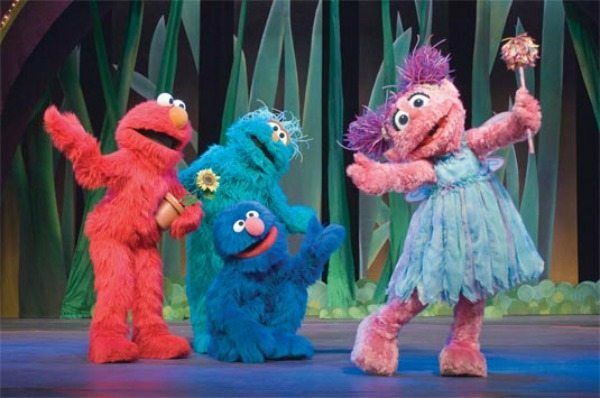 We not only enjoyed a great deal with Groupon for our accommodations, but we also got a great deal on tickets to Sesame Street Live. Both of the girls loved it and it was the perfect way to spend our morning so that we could venture out later in the day to see more of the sites that New York City has to offer for the kids. So fun!! 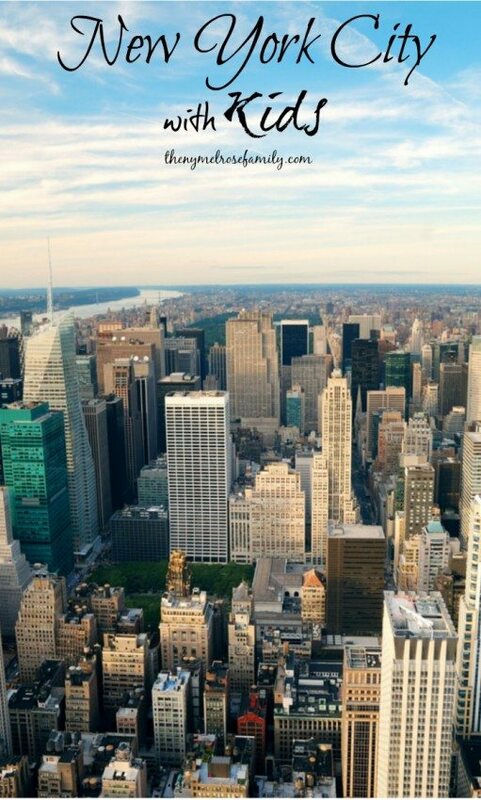 I’m totally using groupon next time we book a trip to the city!! Thanks for sharing!